There are few authors who wouldn’t correct as many spelling, typographical and grammatical mistakes as possible in their work before placing it in the hands of their readers. One writer I know terminated his publishing contract just before his book was to be published when the publisher would not allow the author to proofread the final galley before the book went to press. Even more disturbing was that the publishing contract gave the author the right to perform a final review of the work. Nevertheless, the publisher arbitrarily chose to prevent the author from exercising his contractual rights. When you’re so close to the finish line, termination is a drastic step and few publishing contracts give authors that option, but this author had the opportunity and took it. If you’re a serious writer–or publisher–you can appreciate that proofreading your work immediately prior to publication is a vital issue. Words are an author’s tools and his control over those words—their meaning, proper spelling and use—are the building blocks for his credibility. Wouldn’t any sensible publisher want to reduce the number of errors by allowing the author—and at no additional cost to the publisher—to proof the final galley? Apparently not. 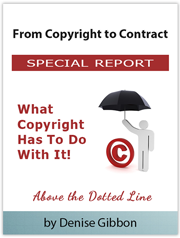 Recently, I reviewed a publishing contract that stated the publisher “may” return the final copy to the author for one last proof. Although I changed “may” to “shall,” I suspect many authors have signed that same contract not realizing that they had no final say in correcting any typographical errors that crept into their work during the editing and layout process. In most publishing contracts, publishers customarily reserve the right to control what they describe as “format” and “style.” Most authors fail to realize that the average publisher’s definition of format and style has nothing to do with skilled editorial input or supervision. Surprisingly, the courts have done nothing to protect authors in this regard. Several years ago, one federal district court held that an author cannot recover damages for the failure of a publisher to publish a book free of typographical errors. Although few of us expect a book to be totally free of such errors, what was most disconcerting was the court’s reasoning. The court held that readers understand that such mistakes are the result of inadequate editing on the part of the publisher. An author’s reputation will not be damaged by a publisher’s poor performance, the court concluded, because readers supposedly know that mistakes are not the author’s responsibility. As dubious as you or I might find this reasoning, it provides an inept publisher with a legal defense. When negotiating your next contract, one of your first priorities is to include a contractual provision giving you the right to review your manuscript’s final galley, i.e., you “shall” review it. A savvy publisher is unlikely to resist your proofreading request. If they do, think carefully about whether this is the publisher for you.